Snow. Wind. Ice. Electrical storms. All these elements can wipe out your home’s power grid in the short- or long-term. Are you prepared? Don’t be left in the dark. Let Mi-T-M help you prepare for outages. Electricity is a commodity most Americans take for granted. But when winter ice storms and spring rains knock out our power, many people go into full panic mode. The news is often full of U.S. cities and entire regions crippled by blackouts. If your electricity goes out, questions begin running through your mind: How long will our food last in the refrigerator? How will we stay warm? Where can we hear the news? What if our basement floods? Where can we charge our appliances? How will we cook our meals? Is the water safe to drink? How can we open our garage automatic doors? We can’t control the weather, but we can help you plan ahead and prepare for emergencies. Mi-T-M sells a large array of equipment that helps homeowners stay safe during storms and power outages. How? Our generators convert mechanical energy into electricity. For homes, our unique inverters are designed with inverter technology for reduced size, weight, noise, and fuel consumption. Our generators come in many sizes—from 2,000 watts to 14,000 watts—and types, including portable generators for residential use and commercial models. These rugged machines provide safe, reliable, and quiet backup for your home electrical needs. Different appliances require different levels of wattage as this graphic shows. How large a generator should you buy? Think about your electrical needs during a power outage. Calculate the total wattage of all the appliances you wish to use—wattage can be located on each unit’s nameplate or found through on the manufacturer’s website—then multiply that number by three. The total will tell you what size generator you need. Our smallest units can easily power lights, your phone charger, and/or appliances like your radio. You choose what is most important to you. Larger generator units, for example, can keep your refrigerator running or allow you to watch TV during the power outage. Mi-T-M’s portable generators and inverter units provide peace of mind. Don’t be thrust back into the pioneer days of yore. Our high-quality portable generators will return you to the 21st century. For your safety—and to prevent carbon monoxide poisoning—all portable generators should be used outdoors only. Do not run a generator in your home, garage, crawl space, attic, basement or any other enclosed area. Instead, place your portable generator on a porch or patio and keep it running outside. Contact Mi-T-M or one of our dealers today. We’ll discuss the best power solutions for all your needs. Click here for more information about how to prepare for power outages. The holidays are quickly approaching which means you’re running out of time to get the perfect gift for everyone on your list. 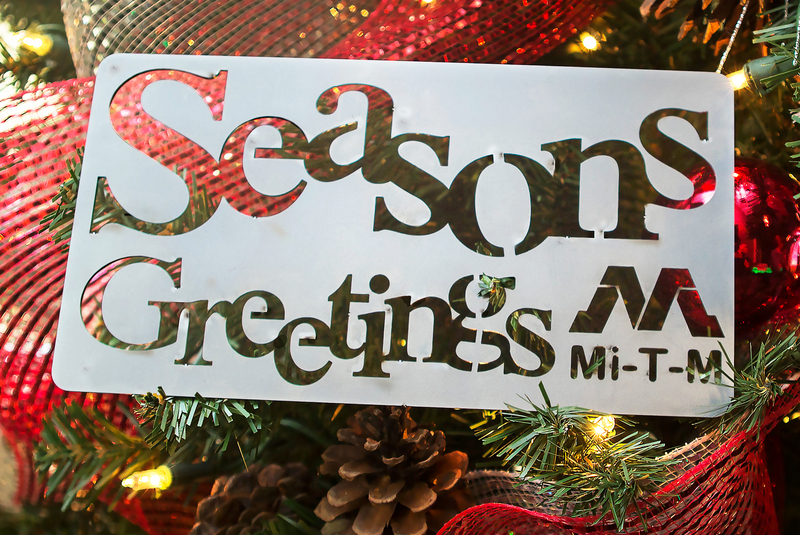 Surprise the spouse, parent, sibling or friend you’ll be shopping for this year by getting them their first Mi-T-M product, or helping them upgrade to a newer model. We all take pride in owning nice things, but cleaning and maintaining them is sometimes a pain. One of the most enjoyable cleaning methods around any home is with the assistance of a pressure washer! Pressure washers make even the toughest cleaning jobs easy by blasting away the grease, dirt, and grime. Pressure washers can be used outside the home on siding, sidewalks, garage floors, driveways, decks, playhouses, and much more. Using a pressure washer to clean property will breathe life back into a variety of surfaces, giving your home a newer and cleaner feeling. Pressure washers come in a variety of styles, as well as electric or gas-powered. If there are cleaning jobs to take care of indoors, the electric pressure washer is the best option as it’s exhaust-free. If you’re looking for something that travels well, you’ll want to look into the hand-carry and portable units. Moving these washers around will be the easiest part of any cleaning job. If the fortunate recipient already has a pressure washer, maybe now is a great time to upgrade their unit. Mi-T-M products are built to last, getting the job done long after their cheaper competitors have been discarded. Many businesses offer great incentives on certain products, so keep an eye open for your opportunity to upgrade a store near you. Sometimes the best gifts are the ones you’ve been wanting or needing, but for whatever reason just haven’t gotten around to purchasing yet. One such item that nearly everyone could use is a generator. A generator is perfect for the home, camping or other recreational activities enjoyed throughout the year. You’ll be faced with two main options when looking for generators: traditional generators and inverter generators. A traditional generator uses fossil fuel to power the engine which creates power through an alternator. An inverter generator draws power from a fixed DC source and uses electronic circuitry to “invert” the DC power into AC power. Inverter generators are much quieter than traditional generators. This relatively new technology is very popular with campers. 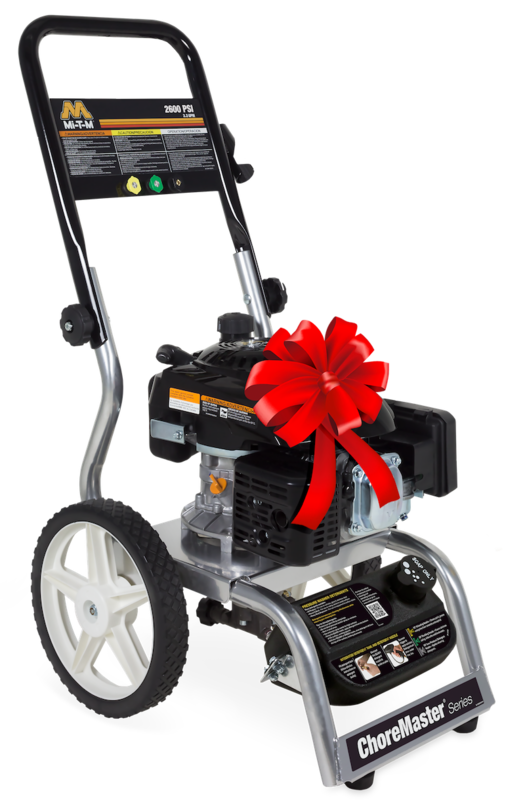 You will most likely be interested in gifting a recreational or emergency type generator, which is what most consumers look for when not intending to use the generator for professional applications. Mi-T-M generators are powerful enough to act as a backup power source in case a home’s electricity ever goes out. These handy generators are easily transportable. The Mi-T-M ChoreMaster is a great option if you think the recipient would use it as both a recreational and emergency tool. Everyone enjoys convenience, and that is exactly what Mi-T-M air compressors provide. The recipient of an air compressor doesn’t need to use it on a daily basis in order for it to be an appropriate gift. Whomever you purchase an air compressor for will most likely have many uses for it beyond filling up a tire. Whether it’s for construction, auto maintenance, cleaning, etc. An air compressor is a great addition to any workshop or garage. There are a variety of consumer-grade air compressors that meet a wide range of needs. Most consumers will use a gas or electric single-stage compressor and the tanks can range in size from 4 gallon to 8 gallon. 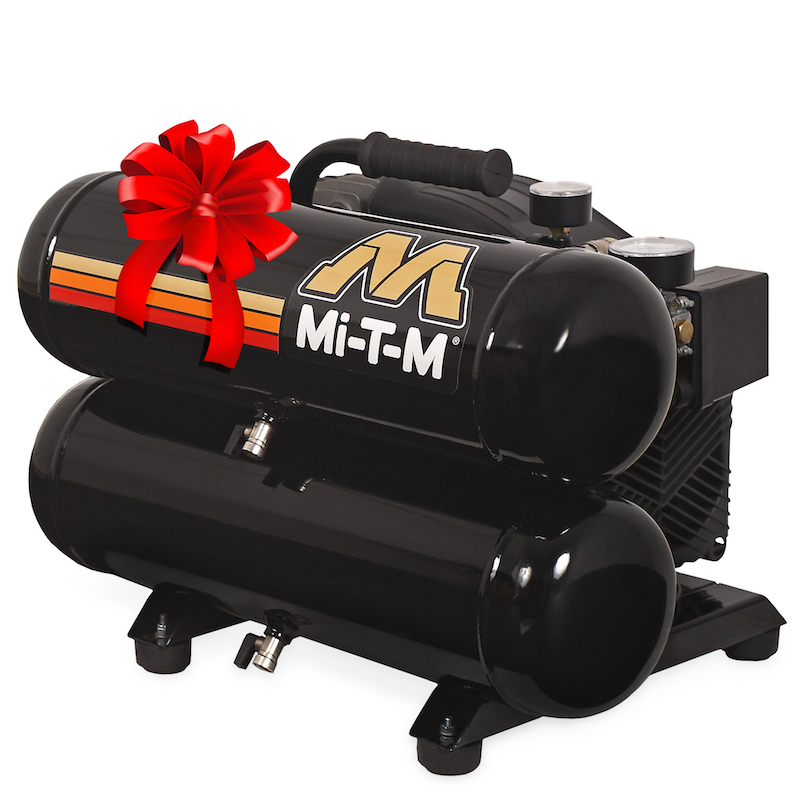 Mi-T-M air compressors are available in portable and hand-carry models. As you can imagine, a hand-carry model is easily moved with minimal effort and portable compressors are built to easily travel. The most important part of choosing between an electric and gas air compressor is knowing whether or not it will be used indoors or outdoors. An electric compressor can be safely used inside and out, as opposed to a gas compressor that should only be used outside. To get expert advice on which compressor best fits your lucky recipient’s needs, contact the Mi-T-M dealer nearest you. Give the gift of quality time spent with family and friends under the warm glow of a Mi-T-M propane patio heater. These amazing heaters stand upright as a decorative piece and distribute heat evenly around your space, warming a 210 sq. ft. radius and providing the right amount of comfort. This heater works well throughout the year and is a great way to help the recipient enjoy the outdoors and entertain guests even in chilly temperatures. 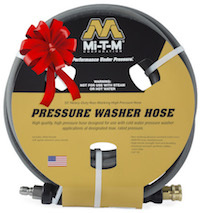 If you’re looking for stocking-stuffer ideas, consider some of the best equipment accessories available from Mi-T-M. A rotating nozzle or gutter cleaning attachment can seriously boost the cleaning power of an existing pressure washer unit or of course, one recently gifted. You’ll also find generator covers, air compressor blow guns, air hoses and more. Easy to install and use, our accessories will be a welcomed addition to any unit. Our accessories, like our equipment, are designed and made by leading industry engineers. If you’re unsure of which piece of equipment will make the perfect gift, simply talk with a dealer to get the expert advice you need. They will help you identify the equipment & models that will best fit their needs. Plan. Backup Plan. Backup-Backup Plan. The most valuable type of preparation is planning. Knowing exactly what to do in the event of an emergency can mean the difference between life, death, or severe injury. Knowing where to go and what to do in the event of a storm emergency caused by a tornado, hurricane, tsunami, flash-flooding, mud-slides, earthquakes, and anything in-between is vital. Should you keep a supply of survival gear where you and your family plan to meet? What is the secondary meeting location if you get separated? Who is responsible for specific tasks? These are all scenarios that should be discussed on a regular basis to avert serious tragedy. The summer storm season is predicted to be above or near normal this year, so start these discussions soon. Check out the following preparedness tips and make sure you’re ready for whatever mother nature throws at you! Your electricity just got knocked out by the storm. The TV, radio, sump-pump, and all other major appliances have stopped working. What are you going to do? 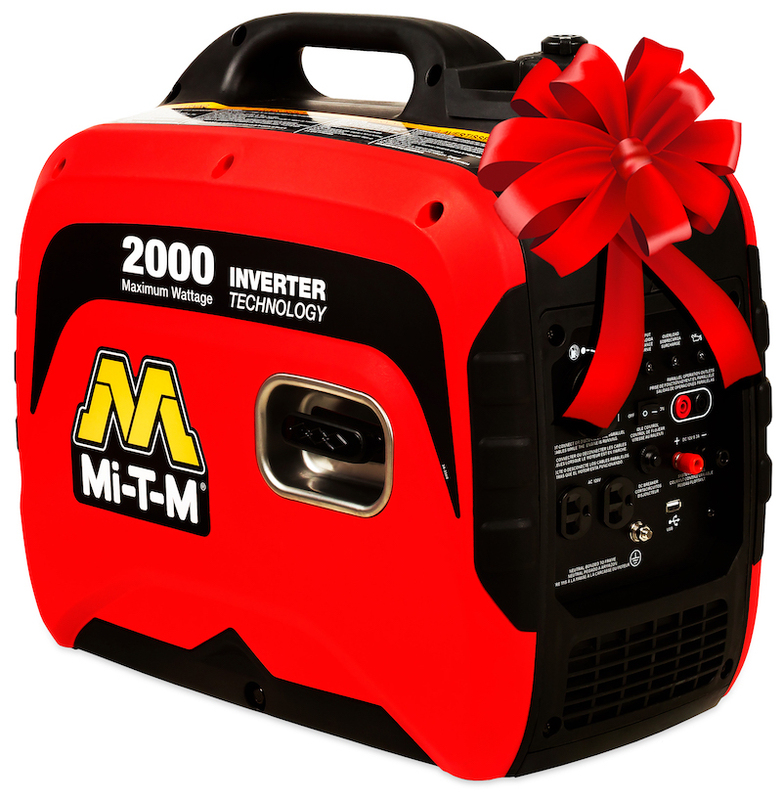 Purchase a Mi-T-M portable generator and never worry about power again! When it comes to electricity, nothing evokes more truth than the saying “you don’t know what you have until its gone.” We can’t control the weather, but we can help you plan ahead and prepare for emergencies. Mi-T-M sells a large array of equipment that helps homeowners stay safe during storms and power outages. How? Our generators convert mechanical energy into electricity. For homes, our unique inverters are designed with inverter technology for reduced size, weight, noise, and fuel consumption. What are your ‘electric essentials’? Our smallest units can easily power lights, your phone charger, and/or appliances like your radio. 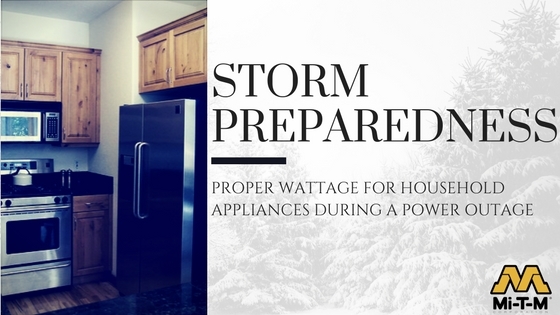 You’ll need to put serious thought into what the conditions will be like when you lose power, which will help you determine your final purchase. Will the generator be a short-term solution for outages caused by lightning or a long-term solution for power-grid damage caused by earthquakes? Will it power your entire home or just a few devices? Larger generator units, for example, can keep your refrigerator and sump pump running while allowing you to watch TV to get crucial news. Regardless of size, Mi-T-M’s portable generators and inverter units provide the power you need and the peace of mind you desire. Regularly reviewing insurance coverage is often overlooked by renters and homeowners alike. Ensuring all of your possessions are adequately covered should something happen is something that should be a top priority for everyone. You’re likely to acquire new items throughout the years so sitting down with your insurance agent to discuss whether your coverage plan needs to be adjusted is highly beneficial. Keeping your sidewalks, siding, decks, and roof clean will help identify any damaged surfaces that need repair before the next big storm hits. Small dents, cracks, scratches, and holes are hard to see under a layer of dirt and grime, so maintaining their cleanliness should be of high importance to any homeowner. A pinhole in your roof or siding can cause extensive water-damage over time, costing hundreds, or even thousands to properly repair. Using a residential Mi-T-M pressure washer will allow you to clean all these surfaces with ease. Whether the job requires hot-water washing, cold-water washing, high or low pressure, a powerful gas engine or a quiet electric, Mi-T-M has everything you’re looking for. What kind of portable generator do I need for my RV? Planes, Trains or …….. RVs? Imagine never waiting in airport lines again, avoiding crowded buses and trains, never booking another hotel room, or asking to stay with relatives and friends. No, you’re not dreaming. When you own a recreational vehicle (RV), you can travel almost anywhere, anytime, set your own agenda, and let the open road guide you. About 10 percent of American households over age 55 own an RV. Some use motorhomes and campers for occasional travel and special events. But some people actually live in their RV’s. The number of full time RVers in the United States is about one million people, according to RVing Guide. Camping is one of the most popular activities in the United States. In 2015, people spent nearly six billion dollars at campgrounds and RV parks. That’s a tidy sum. Clearly, people love the great outdoors. RV owners simply do it from inside their homes on wheels. Whether you drive a grand Class A motorhome, steer a mid-sized Class C, or tow a travel trailer behind you, you’ll need a reliable power source for all of your essential accessories, equipment and devices. Without a generator, you’re just camping in a vehicle. With a good generator, you’ve got a luxury hotel on wheels. Buying a portable generator is well worth the initial investment. You’ll soon wonder how you ever lived without one. However, before you purchase a generator, make sure to select a model that fits your power needs. When it comes to generators, size does matter. Make sure you get the right amount of power for the right price. Here’s a math equation you’ll want to consider: Amps x Volts = Watts. Look around y our RV. What accessories, equipment, and devices will you need power to operate? A coffee maker, a TV, a laptop, an air conditioner? Will you need to charge or run any at the same time? To determine what size generator you will need, add up the total watts of all the items for which you’ll need power and select a model that can easily handle your anticipated needs. At Mi-T-M, we’ll be glad to help you make these calculations. If you like the strong, silent type, you’ll love our Mi-T-M generators. We offer both 2000-watt and 3000-watt compact inverter generators. As opposed to a standard generator, an inverter type has fewer moving parts, offers better fuel efficiency, and provides digital wave manipulation capabilities. Both our models are designed to be quiet and powerful. The last thing you need is a lot of irksome noise from a generator. The first thing you need is strength. Our generators are ideal for charging and powering equipment and devices while traveling, as well as during recreational activities. If you need more than 3000 watts of power, simply use our parallel connection port box accessory. This appliance connects two Mi-T-M inverter generators together to utilize the power of both units at once. The inverters are not RV-ready and they will need an adapter . 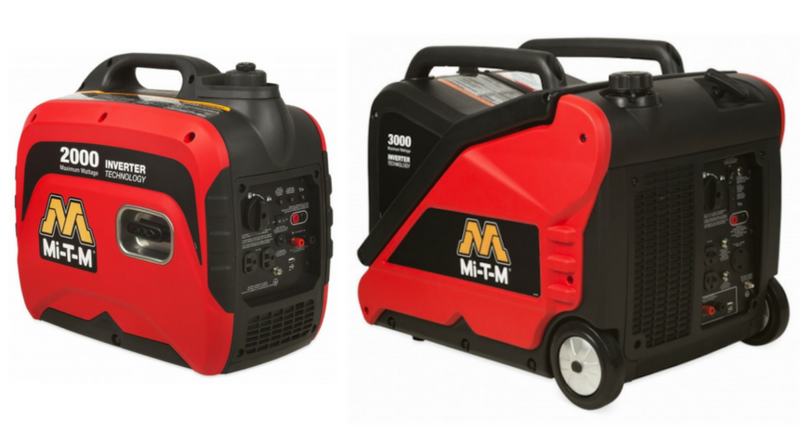 Mi-T-M knows the advantages of owning a portable generator. We’re happy to help you choose a generator that’s right for your needs. Let us answer your questions before you embark on your next travel adventure.